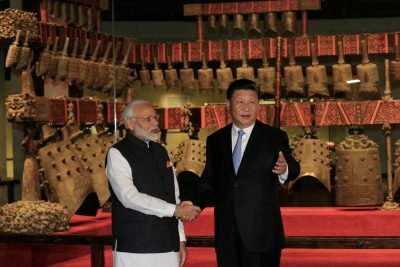 The informal summit between Indian Prime Minister Narendra Modi and Chinese President Xi Jinping in late April confirms a noticeable softening of the Modi government’s diplomatic approach towards China. India has exchanged its prior entitlement- and grievance-filled tone for a more constructive one. The meeting reinforced the notion in Beijing’s eyes that Modi is a purposeful interlocutor capable of braving difficult choices in his nation’s interest. Modi, like his predecessors Manmohan Singh and Atal Bihari Vajpayee, has — when an opportunity in bilateral relations presented itself — been quick to pivot from hawk to dove and to unreservedly engage Beijing in good faith. The informal summit between Chinese President Xi Jinping and Indian Prime Minister Narendra Modi at the end of April saw a reset in the tone of the two countries’ bilateral relations, with significant progress on the management of their border problems and some opening towards opportunities for increased economic cooperation. In the lead up to the summit, Vice-Chairman of NITI Aayog Rajiv Kumar, one of Modi’s chief economic advisors who was heavily involved in preparation for the summit, made it clear that India would benefit from a more positive approach to its economic relationship with China. Before the summit, Kumar met with He Lifeng, chairman of the National Development and Reform Commission (China’s main economic ministry). 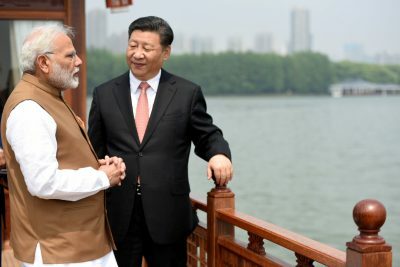 The meetings, held in Beijing, were part of the India–China Strategic Economic Dialogue that began in 2011 and was suspended last year following the Doklam border incident. Insurgencies are famously difficult to defeat, yet the Afghan Taliban have proven especially so. Accounts of Taliban resilience have focused on both the deficiencies of Western efforts and the Afghan state and on Pakistani support for the Taliban. These accounts fail, however, to reveal the full picture of how the Taliban have been able to survive. Drawing on original field research, this article explores how the Taliban’s success has been shaped by factors internal to the insurgency, namely, the social resources that sustain it and the group’s ability to adapt militarily. Abstract: The launch of the Islamic State Khorasan (ISK) brand in the Afghanistan-Pakistan region in 2014-2015 attracted droves of opportunistic and disgruntled militants from local groups. But the arrival of a new entrant in a crowded space also threatened existing groups’ regional power and resources, leading to the inception of multiple rivalries, as evidenced via expressions of leaders’ disapprovals and warnings toward ISK between 2014 and 2017. A close look at the incompatibilities between ISK and its rivals suggests continued resistance by groups whose relevance and resources are directly threatened by ISK’s mission of a global caliphate. The term “Indo-Pacific” has gained wider currency as the Trump administration promotes the Indo-Pacific Strategy as its flagship policy towards the region. Since the substance of this strategy has yet to be made clear, one could easily make speculations that the Indo-Pacific Strategy is a “containment policy” towards China given the emphasis the new National Defense Strategy has given to great power competition. However, a brief overview of this concept may offer a different narrative. It is worth highlighting here that this increasingly popularized term is nothing new. “Indo-Pacific” is a concept that emerged as a culmination of policy choices made since the mid-1990s to incorporate India into the US strategic framework in the Western Pacific and to encourage allies including Japan to upgrade their roles in international security. 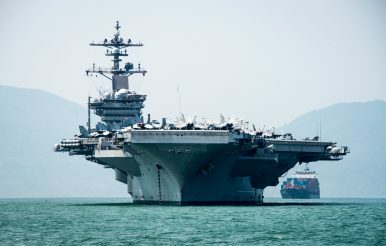 In other words, this concept, which originated in the mid-1990s, gained momentum in the 2000s, before Chinese maritime expansion started to challenge American primacy in the Western Pacific. What Has Karl Marx Ever Done for China? 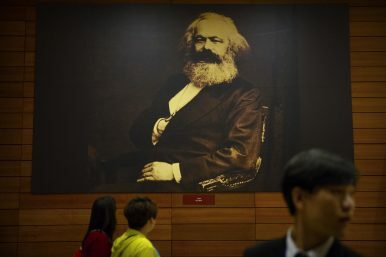 One of the paradoxes of modern Chinese history is that, during the most xenophobic and anti-foreign period in the country’s modern history, in the depths of the Cultural Revolution half a century ago, the words of German émigré Karl Marx and the ideology that bore his name imported from that maligned, distrusted, and hated outside world were untouchable parts of the dogma. Nien Cheng in her celebrated memoir of the era, Life and Death in Shanghai, put her finger on this paradox. Responding to her interrogators when attacked for working for a foreign company in Shanghai, she asked, why was that such a problem? The Communists, after all, she said, were serving a set of ideas born abroad, created by a foreigner. She could have gone further. The Red Guards were idolizing a foreigner whose vast corpus of work, when it mentioned China (which was rarely), did so with lofty disparagement and disdain. 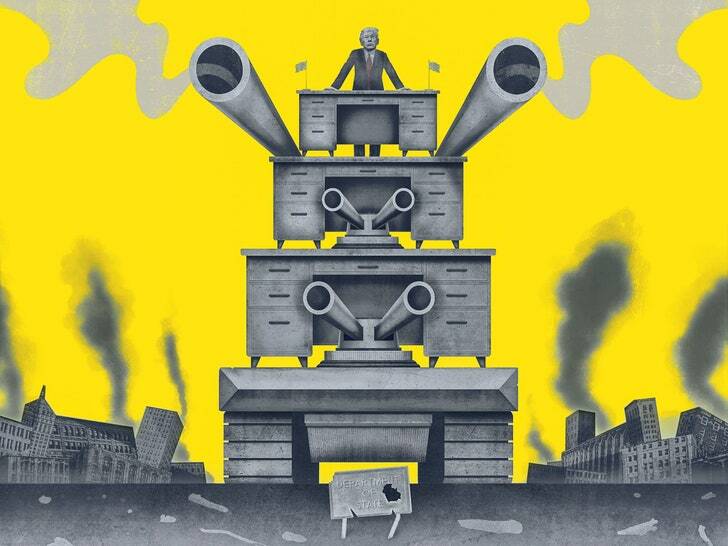 The country, Marx thought, was decades, if not centuries away from the revolutions he predicted were about to topple governments in Europe and the West. China is seeking to increase its overseas investments in infrastructure projects, and the Belt and Road Initiative (BRI) is its strategic vehicle to help achieve this. The initiative aims to improve connectivity between China and the world by encouraging investment in transport, energy and communications infrastructure. In light of the profound impacts of infrastructure on societies and the environment, the BRI will be crucial in determining whether countries are able to achieve more sustainable development patterns, and whether global emissions can be aligned with a 2°C pathway. One of the intended outcomes of the BRI is that it will help achieve sustainable development in partner countries, but this will depend on the nature of the investment projects. The use of sustainable procurement for infrastructure projects is a potentially valuable tool to reduce environmental risks for investors as well as to help drive best practice and innovation in sustainable design, construction and operation. STUNG TRENG, Cambodia -- Sam In, a 48-year-old rice farmer from Cambodia's northeastern province of Stung Treng, never knew that people paid for water until he was forced to move out of his home on the banks of a Mekong River tributary two years ago. Along with hundreds of other households, Sam In and his 10-member family were relocated to make way for a dam development that left his entire village, Sre Sronok, underwater. Now they live in a newly created village where government-funded houses with identical blue rooftops are neatly lined up on a spacious, dusty plot of land. Instead of a river, a national road runs alongside the village. European companies have enjoyed success developing and strengthening commercial ties with Iran since the deal was inked in 2015. In exchange for sanction relief, Tehran agreed to limit uranium enrichment activities and eliminate its stockpiles. That saw European companies flock to do business in Iran, resulting in a mini-investment boom. Back in 2015, the value of trade in both directions was $9.2 billion and that increased sharply to $16.4 billion in 2016 after the deal was signed. Last year, the impressive pace of growth continued, reaching $25 billion. European companies enjoying success in Iran include French company Total which is involved in the development of a gas field in the southern part of the country, along with Royal Dutch Shell who have invested in the Iranian energy industry. Airbus is another well-known European company involved in replacing Iran's outdated and dangerous fleet of airliners. Renault also signed a lucrative deal last year worth $780 million which will include a production plant capable of producing 150,000 vehicles every year. This paper is designed to examine how ISIL has used the Internet to communicate their agenda, and how they can use cyberspace to commit acts of cyberterrorism. We will be looking at the strategic advantage of terrorist organizations claiming responsibility for attacks, and how the Western legal system’s definition of terrorism solidifies this advantage in cyberspace. In the anonymous environment of the Internet, what incentive does a terrorist organization have to give up the advantage of stealth and claim responsibility for a cyber-attack? If western governments are seeking to find a motivation in an attack to label the act as terrorism, and the public is in fear, it is the contention of the paper to show that claiming responsibility is a problematic strategy for cyber terrorists and waiting for confirmation from a terrorist organization to define an act of terrorism has been a questionable strategy for Western governments. In cyberspace, Western governments are prevented from enacting a legal deterrence strategy against cybercrimes and cyberterrorism because the burden of proof resides within proving the intent of cyberterrorism, and not the intent of cybercrime. Few ideas are as holy in President Trump’s international liturgy as the concept of national sovereignty. 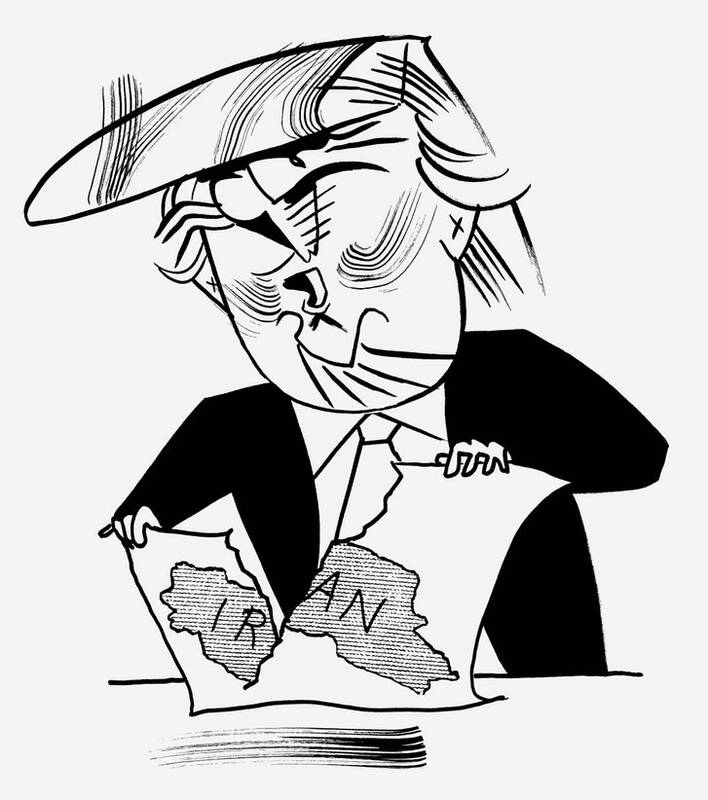 His National Security Strategy speaks of a “beautiful vision—a world of strong, sovereign, and independent nations,” and the Trump himself is keen to repeat some form of “sovereignty” as often as he can. Sovereignty to Trump seems to mean that the United States can do whatever it wants without taking the interests of others into account. It’s the ultimate embodiment of “America first.” In reality, other actors have the right to their sovereignty, which is what the National Security Strategy proudly proclaims. In late March, the Assad regime released a propaganda video aimed at the young men of Syria. In the video, titled “Braids of Fire,” Asma al-Assad, the wife of Bashar al-Assad, the president of Syria, stands before a squad of female army volunteers dressed in camouflage and army boots. “You are far stronger and more courageous than many men because when the going got tough, you were on the front lines, and they were the ones running away or hiding,” she declares. Her words are intercut with images of the women volunteers in combat training, as well as testimonials from the women and their mothers. The underlying message: Shame on you men for fleeing military service—a “sacred duty” enumerated in Syria’s constitution. Two months after Donald Trump’s Inauguration, the White House took a sudden interest in a civil servant named Sahar Nowrouzzadeh. At thirty-four, she was largely unknown outside a small community of national-security specialists. Nowrouzzadeh, born in Trumbull, Connecticut, grew up with no connection to Washington. Her parents had emigrated from Iran, so that her father could finish his training in obstetrics, and they hoped that she would become a doctor or, failing that, an engineer or a lawyer. But on September 11, 2001, Nowrouzzadeh was a freshman at George Washington University, which is close enough to the Pentagon that students could see plumes of smoke climb into the sky. The United States has become identified with the global internet economy — for better and worse. Not long ago, Americans used to worry — constantly and loudly — about what their country’s main cultural export was and what it said about them. In the 1990s, after the Iron Curtain came down, many Americans wondered whether the appealing lifestyles the world saw on U.S. sitcoms and blockbusters deserved some credit for energizing global resistance to communism. Then, as the optimism of the ’90s gave way to the shock and horror of 9/11, Americans asked, with palpable chagrin, whether the materialism and vulgarity of their TV shows and movies were contributing to the virulent anti-Americanism that had spread throughout much of the globe. SEOUL (Reuters) - North Korea’s main spy agency has a special cell called Unit 180 that is likely to have launched some of its most daring and successful cyber attacks, according to defectors, officials and internet security experts. North Korea has been blamed in recent years for a series of online attacks, mostly on financial networks, in the United States, South Korea and over a dozen other countries. Cyber security researchers have also said they have found technical evidence that could link North Korea with the global WannaCry “ransomware” cyber attack that infected more than 300,000 computers in 150 countries this month. Pyongyang has called the allegation “ridiculous”. When it comes to industrial espionage, "one-hit wonders" - employees, such as Chelsea Manning or Reality Winner, who take valuable proprietary information to a competitor, the media or a foreign government - are just half of the equation. Companies also need to remember the threat of low-key spies on staff who may quietly provide their handlers with sensitive facts and figures over months, years and even decades. The damage these employees can inflict may rival or exceed the harm caused by a one-time loss. One year on from the WannaCry attack, are we more vulnerable than ever? It was like a scene from an apocalyptic science fiction film: on the morning of Friday May 12, 2017, computers around the world started to shut down. Screens flashed red with a ransom note that read, “Ooops, your files have been encrypted” and demanded a payment of between $300 and $600 (£230 and £470) in bitcoin . The attack, called “WannaCry”, spread rapidly across 150 countries. Within hours of Spanish mobile operator Telefonica first announcing it had been hacked, NHS hospitals reported they too were having problems. Just as we’ve become used to the idea of cyber warfare, along come the attacks, via social media, on our polity. We’ve watched in growing amazement at the brazen efforts by the Russian state to influence the US elections, the UK’s Brexit referendum and other democratic targets. And we’ve tended to conflate them with the seemingly-endless cyber hacks and attacks on our businesses, governments, infrastructure, and a long-suffering citizenry. But these social media attacks are a different beast altogether – more sinister, more consequential and far more difficult to counter. They are the modern realisation of the Marxist-Leninist idea that information is a weapon in the struggle against Western democracies, and that the war is ongoing. There is no peacetime or wartime, there are no non-combatants. Indeed, the citizenry are the main targets. The Central Intelligence Agency is looking to team up with industry experts to run a series of open-source intelligence projects using its Amazon cloud. The agency released a revised acquisition schedule on May 7 for a project known as Mesa Verde that will test the frontiers of big data and open-source intelligence. The project calls for using the CIA’s C2S cloud, built by Amazon Web Services LLC, to pore through thousands of terabytes of data, including data publicly available on the Web, and apply tools such as natural language processing, sentiment analysis, and data visualization to draw conclusions others might have missed. Aaron David Miller is a vice president and distinguished scholar at the Woodrow Wilson International Center for Scholars and author of "The End of Greatness: Why America Can't Have (and Doesn't Want) Another Great President." Miller was a Middle East negotiator in Democratic and Republican administrations. The views expressed in this commentary are his own. (CNN)On Monday, the 70th anniversary of the founding of the state of Israel, the Trump administration is set to shatter decades of US policy toward Jerusalem by opening an embassy in the Arnona neighborhood of Jerusalem. Could the United States blockade China’s oil during a time of war? The idea is appealing, as it might enable the United States to force a negotiated settlement to the conflict without having to content with China’s formidable anti-access/area denial (A2/AD) system. But would it work? A new study in the Naval War College Review expresses some skepticism. China is deeply dependent on foreign oil, and its sea lanes of communication are vulnerable to disruption. This has allowed some analysts to ruminate about how best the United States could exploit this vulnerability during war. Blockades sometimes work, even in great power conflict; the British blockade of Germany in the First World War helped bring the latter to its knees. Although German efforts to establish a submarine blockade of Britain failed in both world wars, they caused no end of trouble to British authorities. In the waning days of World War II, the United States blockaded Japan so successfully that the Japanese economy and military ground to a halt. Generals Worry US May Lose In Start Of Next War: Is Multi-Domain The Answer? QUANTICO: Russia or China could “overrun” US allies at the outbreak of war, senior military leaders fear, and our plan to stop them is very much a work in progress. Iraq and Syria have given sneak previews of how the US can combine, say, hackers, satellites, special operators, and airstrikes in a single offensive, but we’re not yet ready to launch such a multi-domain operation against a major power.